Based in London, Milward Teverini are a design duo that are taking the luxury interiors market by storm. We speak to them about trends, luxuries, their idea of a perfect home, and their unique design approach. 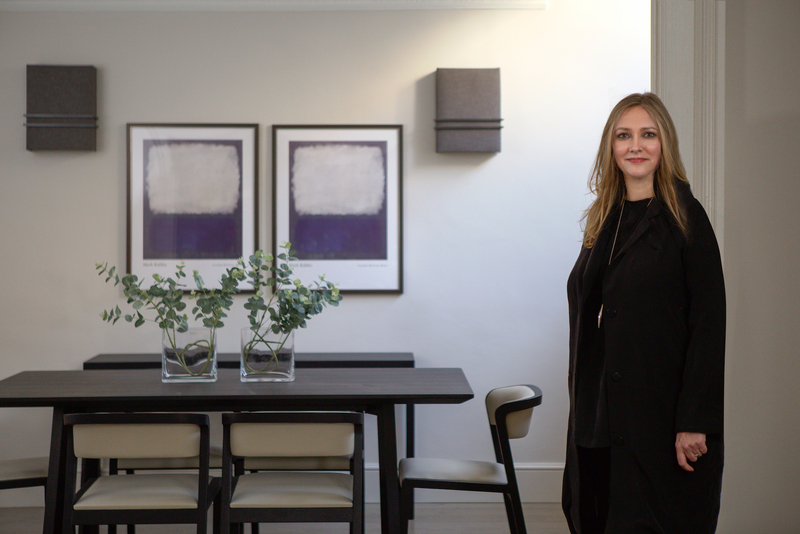 Founded by Alison Milward and Andrea Teverini, Milward Teverini is London-based interior design practice that have a simple philosophy: create timeless, luxurious interiors that are unique to each of their clients. 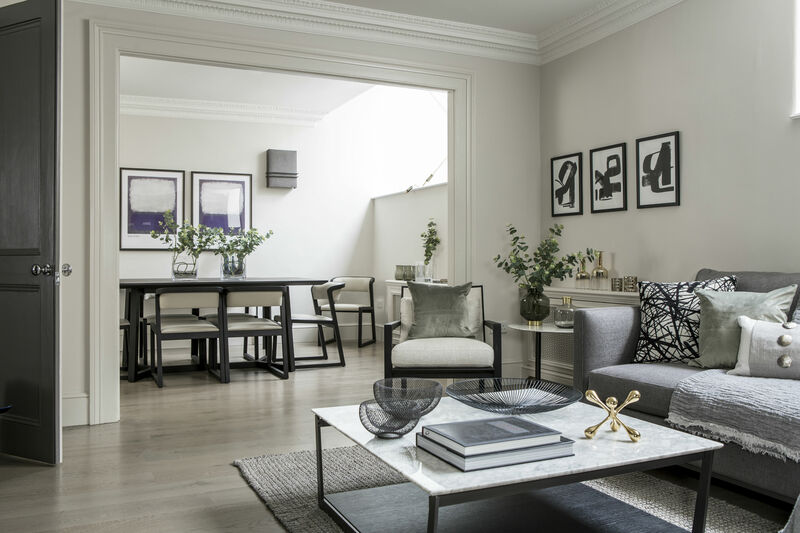 The duo describe their style as contemporary, and have previously worked on Mews House in Belgravia, and other projects across areas including Chelsea, Kensington, Notting Hill, and Chiswick. How do you define luxury interior design, and why do you think it’s now such a popular market? Luxury means something different to different people. For us, luxury means having something made especially for you - whether it’s a made to measure velvet armchair or bespoke chinoiserie wallpaper, or indeed a bespoke interior design scheme. It needs to look incredible, and make the client feel special every time he or she enters the room. As designers, we are always searching for something nobody else has; it's how we stand out from the rest. Nowadays, it's very easy to find good looking pieces of furniture or artwork on the internet - but not everyone can put together a coherent scheme, which is where we come in! What’s your approach to designing a project? We ask very detailed questions about the client’s lifestyle, favourite places, etc. We look at the way they dress, as well as how they want their home to look,how it would function and how many people would be using it. Once we have the brief, we have a look at the floor plan; if the client is open to structural changes, we suggest ways to make the space more efficient. Most of our projects involve major works - including redesigning kitchens and bathrooms - so we normally produce a few options of layouts for the client to consider, before going to the next step with detailed designs of joinery, furniture and finishes. Do you have an interior design philosophy, and how does it apply to successfully meeting your clients' design needs? We don’t have a particular house style, and we would never impose what we want onto our client. Instead, we listen very carefully to what the client wants and needs, and interpret their wishes into timeless, beautiful and unique designs. The space should be designed to suit the person who is going to be occupying it. Although our work does have a luxurious and elegant look to it, we like to remain diverse and interpret our client’s spaces individually. For example, one of our projects was a complete renovation of an apartment in Chiswick, in a former period factory building. That scheme had a distinct flavour of the industrial heritage running through its styling. Each scheme is personal and unique to meet the clients brief. What all our schemes have in common is that they must feel luxurious, comfortable yet functional and practical. Sometimes, our clients have great tastes but they can struggle to put a scheme together by themselves and need guidance; so we help them to edit their favourite styles and come up with something amazing. You’re already designing homes for luxury clients. Would you ever consider working on yachts and private jets? We would love to design yachts and jets! Our work (privately commissioned) and our approach to designing would be the same so it would be a natural progression. A good design is all about the brief; thorough research into the client and ‘property’ - whatever that is - means that we can come up with the best design solutions. We would apply the same thought to the brief as we do for more traditional properties, resulting in a beautifully executed and detailed design. What are your thoughts on the hottest trends in the luxury residential design today? 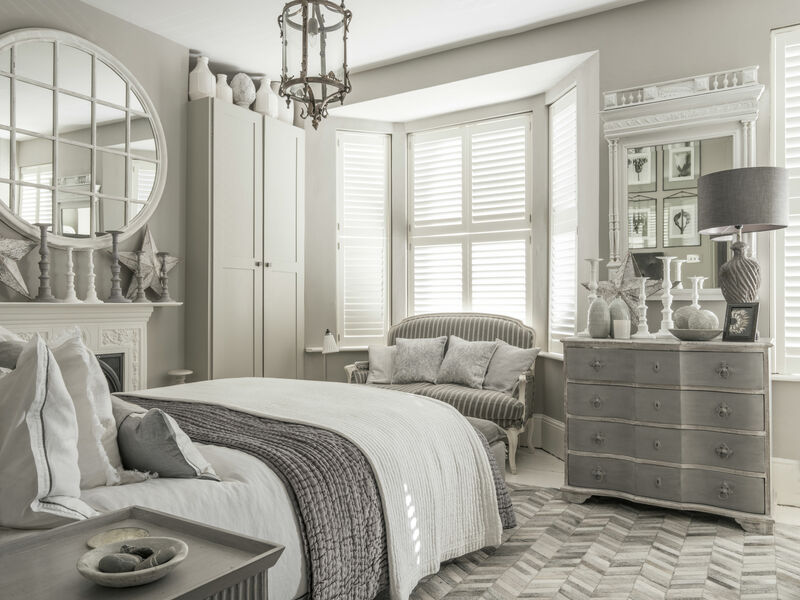 There are some specific trends with colour; green is popular, in particular a pale sage green being used as a restful neutral, with soft pinks and off black accents. 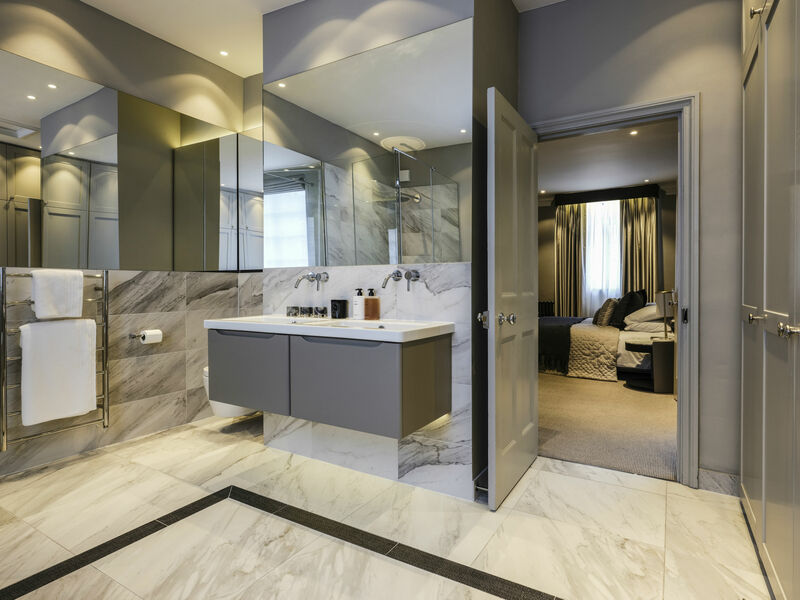 Metallic accents remain strong, and layering of texture like herringbone floors and the use of natural materials - for example very luxurious spa bathrooms made of exquisite natural materials, like stone, are very on trend. Mid-century chic remains a popular trend, and industrial edged schemes, but for us these would be injected with more of an urban luxe feel. Whatever trend it is, we like to use it with care and restraint so as not to go overboard and to avoid a scheme being too themed. We think the key to interpreting trends is not to be too slavish to them - of course, consider and include them in a design to remain current - but make it in a subtle way. This means a scheme will have a more enduring appeal if it is beautifully crafted, creating a more timeless interior. As life becomes more hectic creating a sanctuary is key. This is a trend in a way; creating a home that is a luxurious escape, personally styled to the clients’ tastes. What’s the vision for Milward Teverini in 2018? Currently, the majority of our clients are private owners or investors. We are looking to expand our brand to the high-end show flat market, and also designing a collection of luxury furniture in the future. Finally, describe your perfect home? My perfect home would be located somewhere warm, perhaps by the sea. It would be bright and airy with high ceilings. Spacious, with a large kitchen and luxurious bathroom. It would, of course, be beautiful; yet functional and practical, with the use of beautiful, simple, natural materials that are luxurious but quite understated. Somewhere I can escape to and relax.